What type of commercial lighting is best for my business? If you own a business in MD, VA, or DC, at some point you are going to have to consider upgrading your lighting system. Commercial lighting is specifically designed to meet the needs of offices, shops, hospitals and other non-residential facilities. They are generally chosen based on the desired overall look and vibe of the building, as well as for the needs of the occupants. Because of this, many interior designers and architects work in conjunction with electrical engineers to develop their own specific commercial lighting plans. Tubular fluorescent lighting is one of the most frequently used fixtures utilized in commercial environments. It is one of the most long-lasting, energy-efficient options available today. Metal halide lighting, also known as high-intensity discharge (HID) lighting, is the most widely used lighting in warehouse and industrial settings. They produce a large quantity of bright light, to illuminate large spaces. This is the most familiar and oldest form of lighting technology. Incandescent lighting is frequently utilized in commercial settings because they are widely available and have low up-front costs. They produce light which mimics the color and brightness of natural sunlight, but have a relatively short lifespan and are not particularly energy efficient. 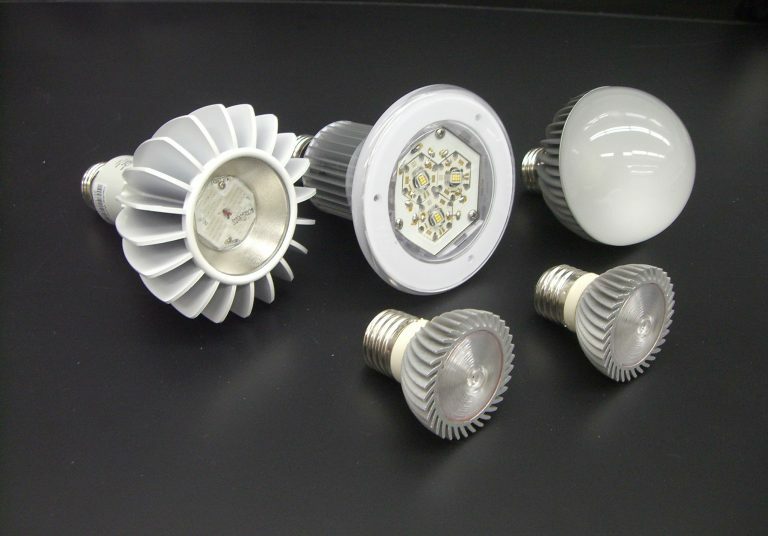 LED lighting products contain no lead and are mercury-free, which makes them environmentally sustainable. LED fixtures can last much longer than incandescent lamps – 50,000-70,000 hours. They perform better than traditional options in low temperatures. Because they are long lasting, they do not have to be changed as frequently, and save on maintenance costs. Their extremely low UV and IR make them environmentally friendly. They save energy by consuming less electricity than traditional forms of lighting. Choosing the ideal lighting fixtures for your business is paramount in terms of both functionality and appearance. If you are considering starting again or changing the look and feel of your existing commercial space, put installing an LED lighting system at the top of your to-do list. If you want to learn about what type of LED lighting is best for your business, contact Kolb Electric today. We have the largest fleet of bucket trucks in the area!